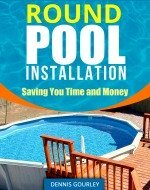 Where can I buy caps for seats for a 24' round above ground pool? I mean the sections that connect the seats together..Had a bad storm and pieces got ripped off. We too, lost several rail caps to our 33' Outback Empire above ground pool. When we asked locally, we were told they no longer make them. Therefore, we disassembled the pool and now have about 22 of them we are going to post on craigslist. Where can I find replacement top rails for a paradise pool 15x24? LOOKING FOR new buttresses and straps for an 18X33 oval. Don't know brand name. Hi. If you can't find any they are easy to make with the strapping material found at Home Depot used for home building. We are looking for the inner stabilizing rails for the Vision 24' round pool. We only need one at the moment. Please advise. Thanks. We have an older above ground pool. We accidentally lost the return inlet for it when we were replacing the liner. We are now searching for a replacement return inlet, but they are all smaller. We need help !!! Its about 5 inches... Please Please help. We have put a lot of money in replacing the liner in this pool and the pump ! Email me at streetcop47@yahoo.com, if you have any clues for us. I have an older Patriot pool (Silverado model). I need new seat tops. Is there another company that might be compatible? Roxanne Rivera submitted this comment. Hello, I need top rails for my patriot pool 24ft round. I have tried many places with no luck, sure thought these rails would last longer than 7 years. Any info would be helpful, it is the Silver Rado, thanks. I just ordered some from Wilbar International, who bought the rights to Patroit Pool. They were very helpful. Here's the number 631-951-9800. I have an Intex 18x48 above ground pool. There are about 3 or 4 poles that are getting very rusty. I called intex and they want an arm and a leg for replacement poles plus shipping. Is there anything I can use besides Intex poles? Thanks for your help, Jim.